Why Choose 7th Level for your VA Mortgage Loan? 7th Level Mortgage is strategically located in Cherry Hill, NJ and is able to provide VA (Veterans Loans) Mortgages to residents in the states of New Jersey, Pennsylvania, Delaware and Florida. The owner of the company is a military veteran having served in the United States Armed Forces for over 10 years as both an enlisted soldier and commissioned officer. In 2012, 7th Level Mortgage was selected as one of the Top 25 Veteran owned companies in the Delaware Valley by Philadelphia Business Journal and we are proud to continue that fine tradition of serving the folks that have served our country. 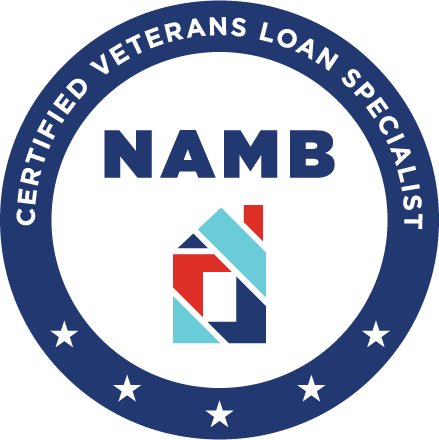 If you are a Veteran and live or own a home in NJ, PA, DE, NY, MD, or FL, please contact one of our VA mortgage loan experts to discuss the various ways we can help you secure the financing you need to literally save you thousands of dollars per year. Most of our clients are within easy driving distance from our office, unlike large banks or internet based mortgage loan companies, our NJ VA Mortgage Loan experts are available at any time for a face to face meeting, in fact we encourage it! We specialize in all forms of VA mortgage loans and because we are located centrally in New Jersey, we can bring that experience to bear in PA, FL and Delaware as well. At 7th Level Mortgage we hold sacred the motto of HONOR, LOYALTY and INTEGRITY. We will NEVER mislead a client, we promise to give it to you straight and stand by our word, you have that promise from us on Day one. Most VA Home Loans are handled entirely by private lenders or brokers such as 7th Level Mortgage. The Veterans Administration itself rarely if ever gets involved in the loan approval process. However, the VA "stands behind" the loan by guaranteeing a portion of it. If something goes wrong and you can't make the payments anymore, the lending institution can go to the VA to cover any losses they might incur. The VA loan guaranty is the "insurance" that is provided to the mortgage company. There is no charge or penalty fee if you pay the loan off early. VA Loans are more popular today than at any point in time in the past! The Department of Veterans Affairs guaranteed nearly 540,000 loans in 2012, hitting an 18-year high. The VA Mortgage Loan program is the most powerful home loan program on the market for veterans and military families. These flexible, government-backed loans come with significant benefits that open the doors of homeownership to veterans who might otherwise struggle to obtain financing. If you use the VA Mortgage Loan calculator you will quickly be able to determine that the costs and fees associated with a VA loans are more beneficial to borrower then traditional conventional loans or FHA loans. We have historically found that veterans enjoy lower monthly payments and can afford more home using their NJ Veterans Mortgage Loan. In addition, VA loans require no down payment or private mortgage insurance. They feature competitive rates and terms and allow qualified borrowers to purchase a home with little to no money out of pocket. Saving money and building credit can be difficult for service members who are constantly on the move. With the VA Mortgage Loan, qualified borrowers can finance 100 percent of the home's value without putting down any money. In most cases, either the seller or 7th Level Mortgage will pay some if not all of the closing costs associated with a VA Loan thereby making it even more affordable. Take a look at the chart below to see how much you can save through the no-money-down benefit of the VA Loan. Many conventional lenders require borrowers to pay private monthly mortgage insurance unless they're able to put down at least 20 percent, understandably this is a difficult task for veterans to achieve. Private mortgage insurance (PMI) is an insurance that protects lenders in case of a borrower default. With a VA Mortgage Loan, however, there is no PMI. This is because the federal government backs all VA Loans and assumes the risk on behalf of the borrower that is typically covered by the PMI. This VA Mortgage Loan allows you to buy more house or build more equity in your existing home, saving you thousands of dollars over the life of your mortgage. Interest rates on home loans are based on risk assumed by the bank to finance the loan. Because the VA backs each VA Loan with a guaranty, financial institutions carry less risk and can offer interest rates that are typically 0.75 to 1 percent lower than conventional interest rates. With many different type of loan types, paying off a home loan before it matures results in a pre-payment penalty. This is because lenders miss out on additional opportunities to collect interest payments. The pre-payment penalty is a way for financial institutions to recoup some of that money. The VA Mortgage Loan allows borrowers to pay off their home loan at any point without having to worry about a pre-payment penalty. With the absence of a pre-payment penalty, borrowers are free to consider future home purchases and refinancing options. Since its creation in 1944, more than 22 million veterans have achieved homeownership through the VA Home Loan program. Eligible veterans, current service members and their survivors continue to benefit from the advantages of a VA guaranteed home loan, giving them the assistance of getting quality mortgage and refinancing options. A record 740,386 home loans were guaranteed by the VA in 2017, the largest year in the history of the program. In 2017, the VA loan limit increased to $424,10, up from $417,000, not including 238 high cost counties where the limit is higher, with amounts of up to $721,050 in those areas. The VA home loan entitlement can be restored one time if the loan is paid off. If the prior loan has been paid off and the property is no longer owned, the entitlement can be restored as many times as desired. VA eligibility can be reused for every home purchase from the first to the last and veterans commonly use more than one VA loan in their lifetime. Additionally, multiple VA loans are possible, but happen infrequently. For instance, if a veteran is looking to move and rent out their existing home or is looking to purchase a smaller vacation home. If you are considering a VA Home Loan the fastest and easiest way to find out if you qualify is by contacting one of our VA Mortgage loan experts who can help to determine your eligibility, qualification level and let you know what your options are. It doesn't cost you anything and there is no obligation. You will simply be connected to a VA Loan Specialist who will let you know how to maximize your VA benefits by calling 856-322-0233. Generally speaking almost all active duty and honorably discharged service members are eligible for a VA Home Loan. If you can say "Yes" to any of one these statements, congratulations, you may be eligible for a VA Loan! So, how do you take the next step? Get connected to a VA Loan Expert who can help you maximize your VA benefits and let you know what you qualify for. There are no obligations and your credit will not be pulled. Take the first step in your VA Mortgage Loan by getting in touch with a VA Specialist.